This month we honor Big Brother George Koscs for his dedication to BBBSMMC and his Little Brother Chancellor, as our Mentor of the Month. 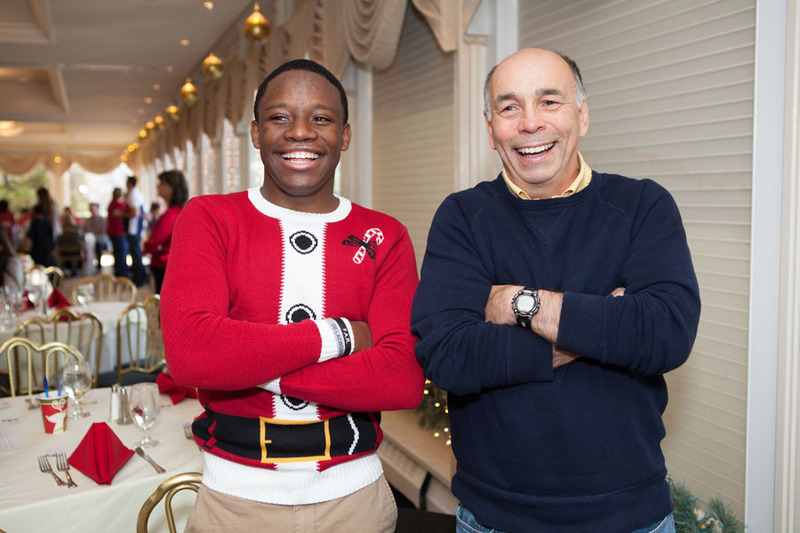 George and Chancellor’s six years of friendship have consisted of endless activities, support and mentorship. The two enjoy adventures around Asbury Park, talking sports, attending BBBSMMC events and much more. Recently, we spoke to George about his relationship with Chancellor, why he became a big, and how becoming a mentor has changed his life. I was at a point in my life where I had a feeling or an urge to “give back” to society in my local area. BBBSMMC was an ideal organization for this since I wanted to have a one-on-one relationship as I thought I could make a difference in one person’s life. How long have you been participating in the program? Chancellor and I just passed our six-year anniversary. It seems like the time went by very quickly, but at the same time it seems like we’ve been friends for even longer. Having the opportunity to engage one-on-one with someone, share my experiences, give advice when asked and spend time together. Mostly, just being able to watch someone grow to be a mature and responsible young man. Chancellor will be going off to college (West Virginia University) later this summer, so our BBBS time will be ending but our friendship will continue for sure. I would just say to give it a try. My experience has been very rewarding. Do you have a favorite memory that you’ve shared with your Little? I think my favorite memories are the holiday parties. Chancellor and I went to five of them and for me, it was a chance to get together with other matches and the BBBS staff. It was also an opportunity to relax and reflect on another year gone by. Football season was also another good memory. I had the opportunity to go to some of the games he played in for his high school and we would also watch NFL games together, talk about games, and text back and forth during the Super Bowls. I think one of my favorites was indoor rock climbing, because it was a new experience for both of us. We only tried it a few times, but it was very challenging. We turned it into a competition (as we did a lot of our sports-based activities)! If I remember correctly, Chancellor ended up winning our final rock climbing outing. I think I was able to provide Chancellor with the opportunity for some open conversation about all subjects – from school to sports, and everything in between. We never ran out of things to talk about. As his mother once said, “they speak the same language!”. There was never any shortage of organized events to take part in – bowling, fishing, holiday parties, etc. I especially want to mention our case manager, Sandi Mangino. She was with us for the entire time and quietly provided so much advice and support. It truly is an outstanding organization. I was surprised at how large the BBBSMMC program is in terms of the number of kids who are involved. It is also incredible, considering the entire program runs so smoothly while being managed by such a small, but dedicated staff. William and his team are amazing.